Delegates are invited to book their accomodation in one of the following options, which are offering special rates for the duration of the event. rooms in Manchester's 4-star Macdonald Hotel are being held until 20 June for SUSY2014 delegates to reserve at the special rate of £80 per night, breakfast included. 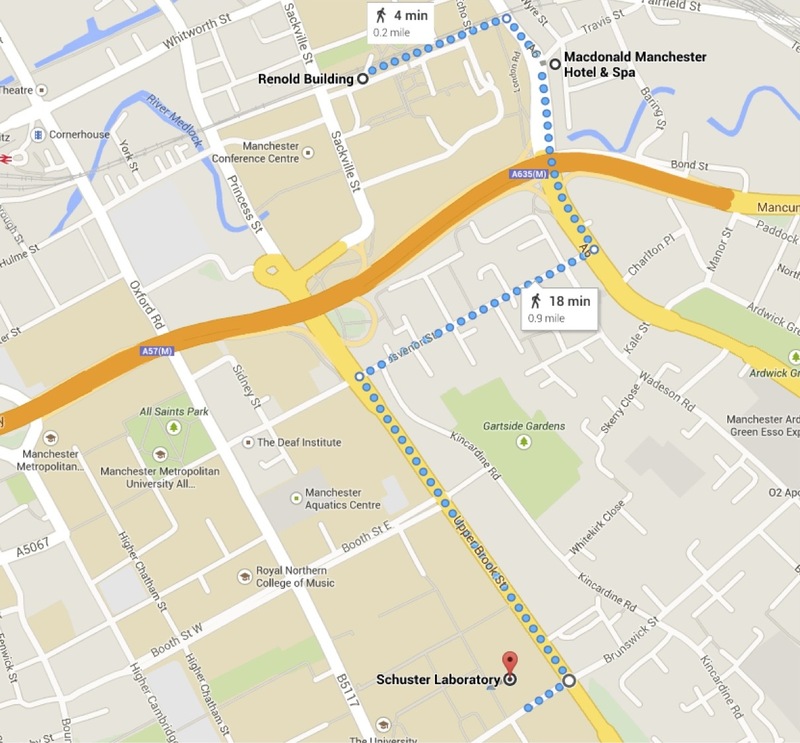 The Macdonald Hotel is a 4-minute walk from the Renold Building (venue of SUSY2014) and an 18-minute walk from the Schuster Laboratory of Physics; a map can be seen here. PLEASE NOTE that these rooms will only be held until 20 June; please be sure to complete your booking before that date. Then click on "SEARCH"; scroll down the resulting page until you find the "SUSY Conference BB rate" option which will have been automatically selected; other options are shown with their corresponding prices. Click on "NEXT" at the bottom of the page to continue with the reservation. 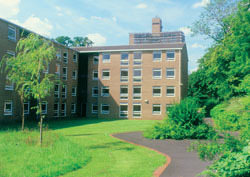 Rooms will be available in two of the University of Manchester's residence halls. 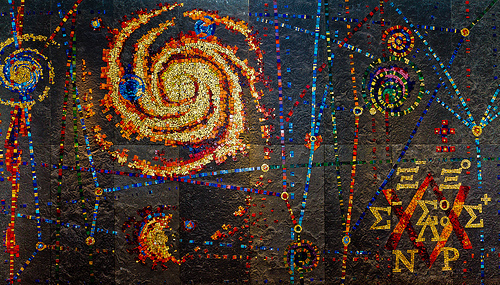 Oak House is a 25-minute bus ride from the Schuster Building (venue for the Pre-SUSY 2014 Lectures) and a 30-minute bus ride from the Renold Building (venue for SUSY2014); detailed bus information can be found here. Oak House offers shared-bath single-occupancy rooms. There are no more places available in George Kenyon for SUSY2014 (Rooms are available for Pre-SUSY2014). 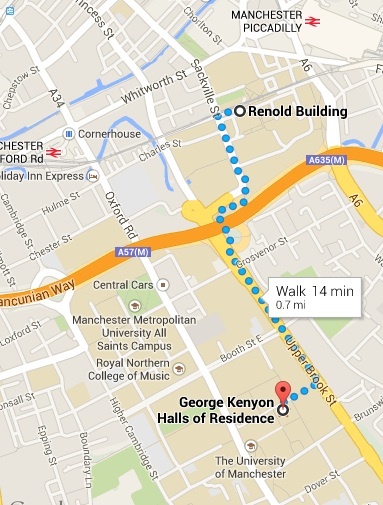 George Kenyon Hall is located very near to the Schuster Building (see the campus map) and a 10-minute walk from the Renold Building (route shown here); it is a modern multi-storey residence hall with ensuite, single-occupancy rooms. 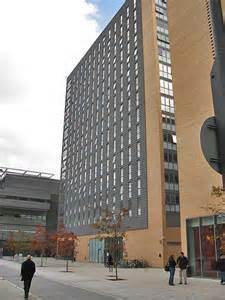 Breakfast is not included in the residence halls; however there are a number of coffee shops and restaurants nearby, and residents have access to fully-equipped shared kitchens.